Autumn, 1565: After fleeing Kyoto, master ninja Hiro Hattori and Portuguese Jesuit Father Mateo take refuge with Hiro's ninja clan in the mountains of Iga province. But when an ambassador from the rival Koga clan is murdered during peace negotiations, Hiro and Father Mateo must find the killer in time to prevent a war between the ninja clans. With every suspect a trained assassin, and the evidence incriminating not only Hiro's commander, the infamous ninja Hattori Hanzo, but also Hiro's mother and his former lover, the detectives must struggle to find the truth in a village where deceit is a cultivated art. As tensions rise, the killer strikes again, and Hiro finds himself forced to choose between his family and his honor. "Spann once more shows herself as a master storyteller . The narrative is swift and adept, and so well-grounded in ancient Japanese history and customs of the period that I was totally immersed. 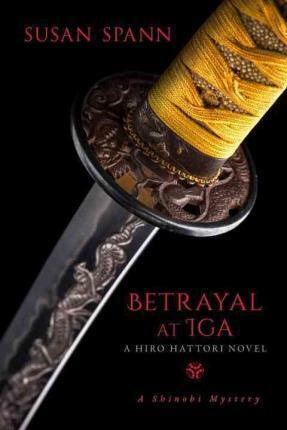 A nail-biting tale of ninja assassins and a man who must choose between honor and his family in feudal Japan." --CARA BLACK, New York Times-bestselling author of the Aimée Leduc Investigations "Spann keeps getting better, as shown by her fifth novel set in 16th-century Japan, a taut closed-circle mystery with perilous consequences.... Fans of classic whodunits will be pleased." Susan Spann is the 2015 Rocky Mountain Fiction Writers' Writer of the Year and the author of four previous novels in the Shinobi Mystery series: Claws of the Cat, Blade of the Samurai, Flask of the Drunken Master, and The Ninja's Daughter. She has a degree in Asian Studies and a lifelong love of Japanese history and culture. When not writing, she works as a transactional attorney focusing on publishing and business law, and raises seahorses and rare corals in her marine aquarium.